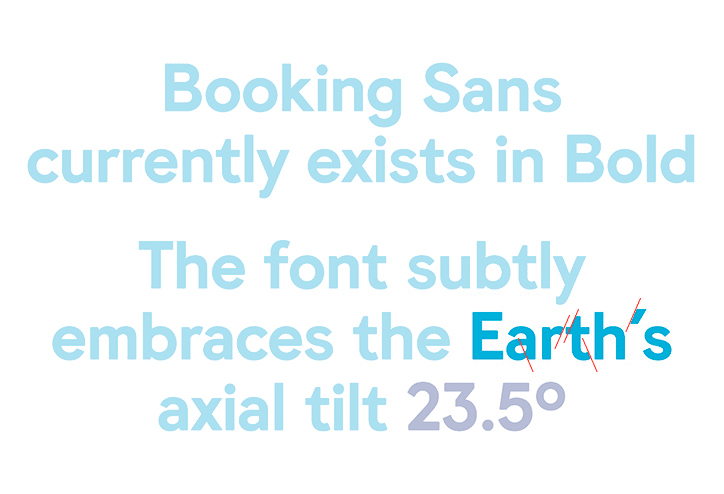 Booking.com launches a new font that “subtly embraces” the 23.5-degree axial tilt of the Earth. Because details matter. 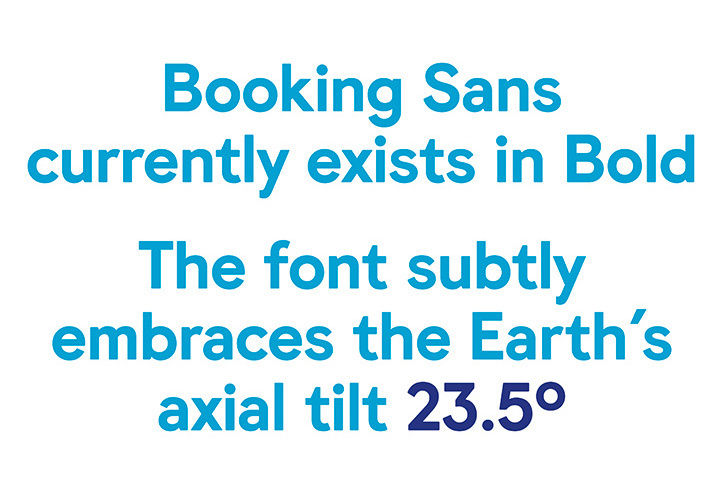 It’s fascinating when a company invests in the creation of a proprietary font for use across their communication. Both the investment (it ain’t cheap) and the commitment (five years minimum) are considerable, and typically the press releases announcing them are like a puff pastry of hyperbole. It’s not a loud thing, but the nuance here is fantastic and the subplot to the broader visual identity helps bring to life the Booking.com story. More examples over on It’s Nice That.